UberAIR is well on its way, with the plan to start demonstrating the technology in 2020 and start operating the flying taxi service in 2023. 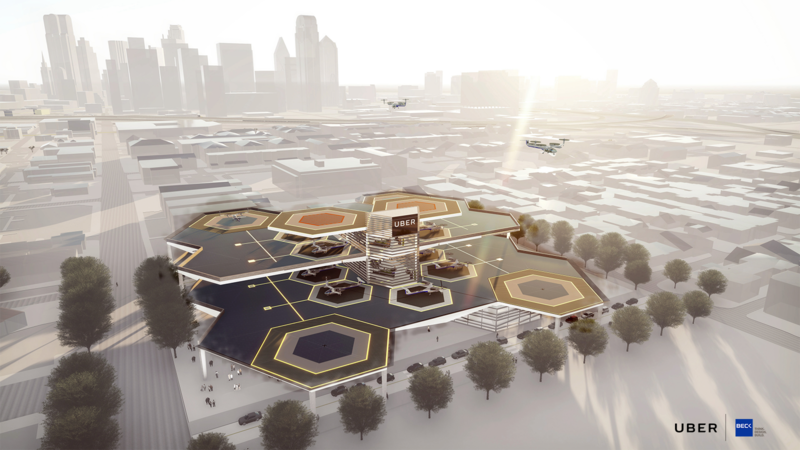 In order to get there, it’s going to need what Uber is calling “Skyports” — areas for these electric vertical take-off and landing vehicles to board and unload passengers. 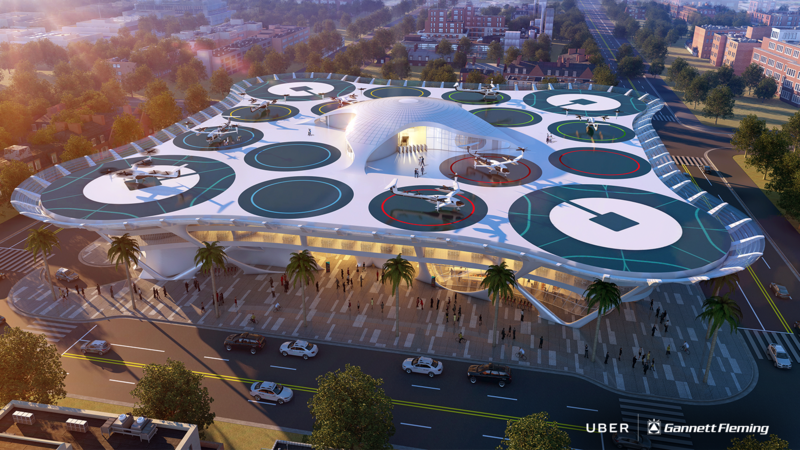 On day two of Elevate, Uber’s architect and design partners revealed their concepts for skyports. All skyport concepts are required to be able to support more than 4,000 passengers per hour within a three acre footprint. The skyports must also ensure electric VTOLs can easily recharge in between trips. While all of these skyports are structurally feasible, financial feasibility for cities is an entirely different story. 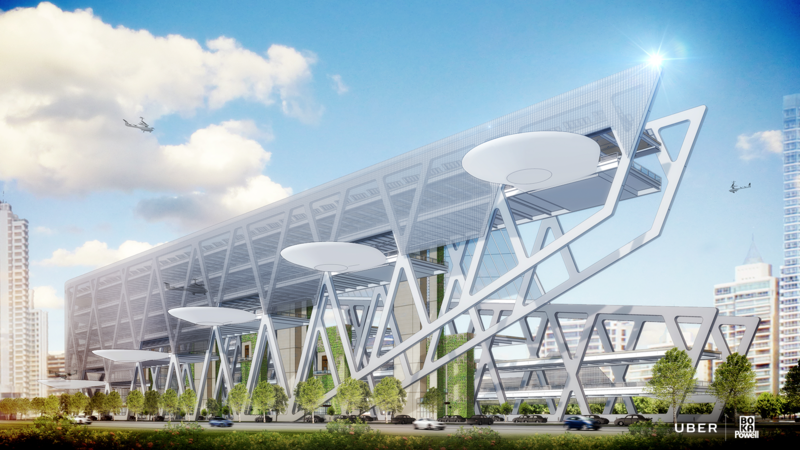 Anyway, here’s a look at some new skyport concepts from Corgan, a design and architecture firm. The idea with the Mega Skyport, according to Corgan, is to create a system with modular components that can be adapted anywhere. The basic component, the skyport itself, could theoretically be added to open spaces, on top of parking garages or on the roof of skycrapers. Each skyport could handle 1,000 landings per hour. Corgan also envisions using this stations as community gathering spaces for things like concerts, art festivals and botanical gardens. “The Station reconnects once divided neighborhoods that reside on opposite sides of the highway and therefore serves as a new community gathering point,” according to Corgan’s design prospective. On day one, Uber Head of Aviation Eric Allison explained the node concept. Nodes are essentially skyport groupings to enable Uber to better manage the network of eVTOLs. For example, 40 nodes, Allison said, could manage trips for millions of people every day. Another concept came from Gannett Fleming (above), which designed skyports that could support up to 52 eVTOLs per hour, per module. By 2028, the framework could handle 600 arrivals and departures per hour. The design, which enables solar recharging. uses robots to rotate the aircrafts while parked to better position them for immediate takeoff. Pickard Chilton and Arup took a more vertical approach with their design for efficiency purposes. This design would enable 180 landings and takeoffs per hour, per module. Next up is one from Humphreys & Partners. This concept is modeled after a beehive because, similar to a bee’s flight patterns to and from a hive, eVTOLs would replicate that same pattern in the Uber Hover. The design would accommodate 900 passengers per level, per hour. The Beck Group took a similar bee-like approach with its design, called The Hive. 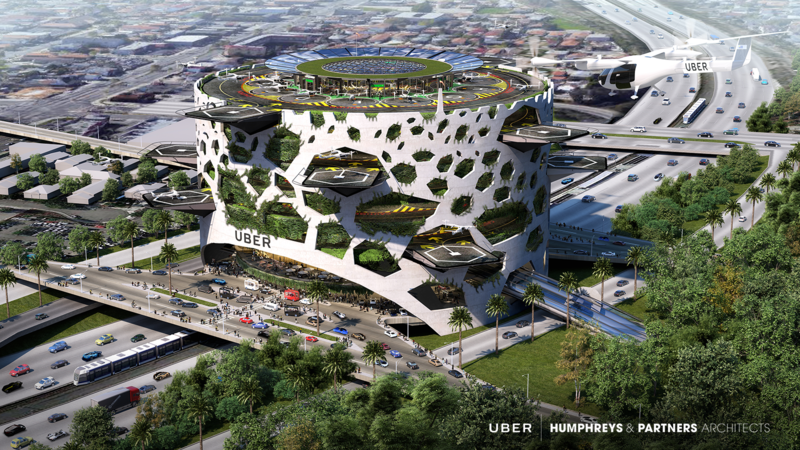 Though, this design looks more like an actual hive than the one from Humphreys & Partners. This design could accommodate 150 takeoffs and landings per hour, and could be scaled to handle 1,000 trips per hour. Last but not least is one from BOKA Powell. This design can handle 1,000 takeoffs and landings per hour and has a structure that can reverse itself in order to accommodate wind change.